Let's face it floors are gross and handbags are expensive.... at least mine are any way. I don't want my gorgeous bag to collect germs so I always have my Clipa attached to my handbag. Ladies the Clipa can hold A LOT of wait this is definitely a necessity. isABelt is the greatest belt creation ever. I promise! 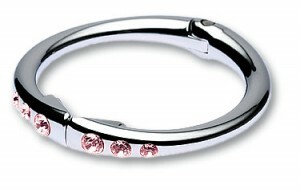 I think it's a must have in every ladies life and is a great fashion fix-it accessory. 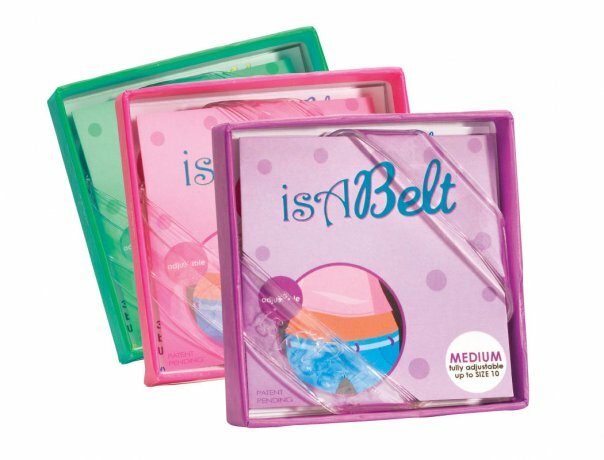 isABelt is a strong and thin flexible clear plastic belt which basically disappears when you wear it...bonus! The belt gives you the assurance that your pants are not going to fall off, but also prevents back gap (thank goodness), slippage and the bulk of a regular belt. During the summer and the winter are skin gets dehydrated easily. Especially this frigid weather is killing my face. However it takes glowing and hydrated with Dermalogica's Ultracalming Mist.... I keep a bottle with me to give my face a pick me up. If you want to have a perfect bronze smokey eye this is a MUST HAVE product. Flawless gorgeous bronze smokey eye every time. 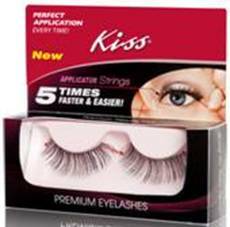 My lashes are already pretty full when I add mascara however with these bad boys they really make my eyes pop. I was suppose to have a picture but failed being able to take one of myself... sorry! P.S. Kate may have had to wait 8 years for Prince William to propose, but she didn't have to wait long to inspire a nail polish. No More Waity Katie is from Butter London and will be available in April. It's a glittery mauve shade, which to me doesn't seem to fit Kate at all. I get the whole glitter and princess, but it just doesn't seem like her. Any thoughts? Great List :) I love the handbag clipper, genius! I love the eyeshadow. Beautiful colors. The falsely are fun, too! My fav is the eyeshadow and purse ring. The belt thing I would have to give it a try to see how I like it and the last sparkly shimmery stuff- not for me! LOL! i've been thinking about getting one of those purse hooks. nice to know they actually work! and omg i need that belt immediately! hahah the isABelt reminds me of this band I have to keep my pants comfortable as my belly starts to expand ;). Such fun stuff. Thank you for your comment! Your blog is too cute. I can't wait to read more. Have a great day! xoxo. 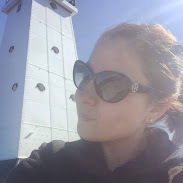 Currently, I am in love with Benefits posey tint...cheek and lip stain. It doesn't add any greasy feeling to your face AND it lasts all day!! I would have to say this is my top must have at the moment. The purse clip is awesome! I hate having to put my purse on the back of my chair and have to worry about it falling or someone snagging it. This is a great list!! Loving that purse hanger and that eye shadow. As for the nail polish he strikes me as a solid color gal not a sparkly one. I heard about the Butter nailpolish on TV the other day... I love the idea of it but I agree with the thought that it might not be "her", haha. I can't wait to see it in real life though! I am obsessed with the royal family! I've not seen that purse hanger, but I have one that looks like a hook basically. LOVE IT. I have men asking me all the time where to find one for their significant others even. that invisible belt sounds really cool! :) and i agree the whole glitter thing doesn't suit her, she's the ultimate classic chick so they should've just stuck with the mauve. You have the best picks! Love the Derm mist...it really works huh? The winte air is killing my skin! 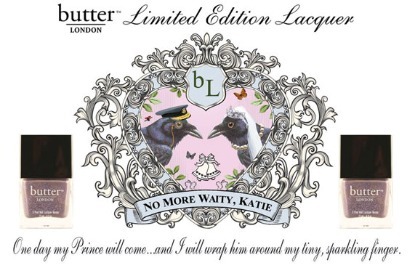 I want the Butter London polish because it has Katie in it lol. I so desperately need a handbag holder like the one you show, yet somehow continue to avoid buying one. And the invisible belt is new to me, I have never heard of it, what a great idea! I SO need that purse hanger! I've seen them in various places but still have yet to get one! I'm a germaphobe, so the thought of putting my bag on the floor totally grosses me out. I normally just keep it on my shoulder, but that gets heavy if you're sitting for an extended period of time. My co-worker and I were discussing the No More Waity Katie nail polish. We both really like it! I just like it for the color and could care less about Kate or William...plus, I guess Butter London is good stuff. Don't know if we'll be able to get it over here in the states though! Thanks for your comment, m'dear! Have a great weekend! How cool....a purse hanger? love it...and must get one too!!! That is the cutest purse hanger I have seen. I'm not sure I'm a fan of the Kate Middleton nail polish. I agree--she seems a bit more understated/classic for glitter? I love the purse hanger!! some of my bags have the little feet which is nice (dooney and bourke mostly do the feet thing) but for the others this is a great idea! This post is great, everything is something I'd use, for sure! I'm gonna hunt for that mist... my skin gets really dry in the winter. Thanks for the tip! I love that bag-hanger; they are definitely the most handy things in the world. I agree, that shade of nail polish doesn't seem very her, but it is cool that she has a nail polish named after her! 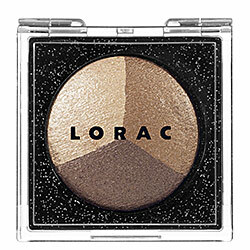 That Lorac trio is now on my wish list! I agree, that color just doesn't seem fit Kate! Great list! That isABelt thing seems neat! They really are a timeless gadget! and a life saver to all handbags!